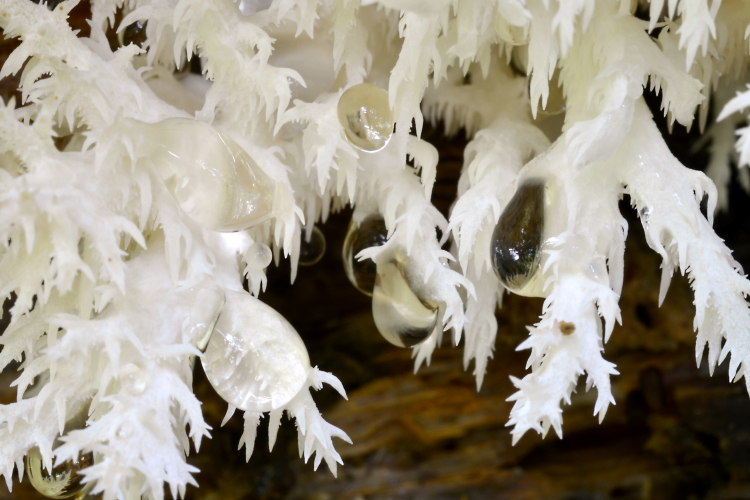 Hericium are exceptionally striking and beautiful mushrooms forming large white icicle-like spore-bearing structures. All are saprobic, occuring on partially decorticated or fully barkless logs and standing snags, or on the dead limbs and portions of living trees. 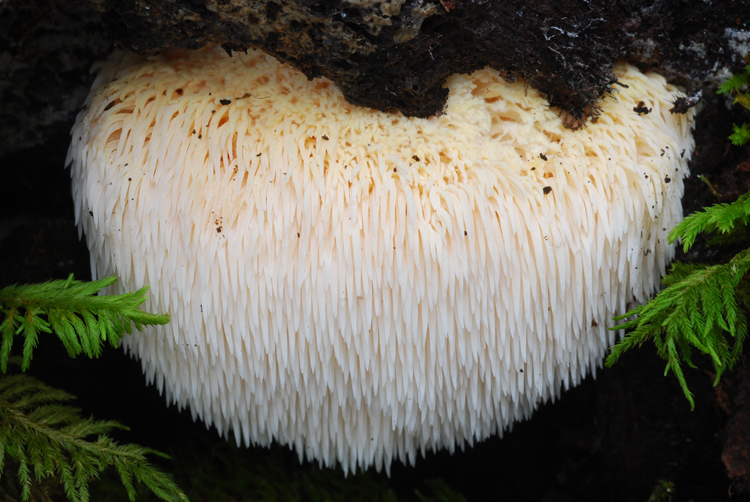 All species are edible and a few are cultivated; some research suggests that compounds produced by Hericium act to stimulate nerve growth. Fairly few species in our area, critical comparison with European species lacking. Important identification characters are the structure and branching patterns of the spore-bearing arms, and identity of host wood (conifer vs. hardwood).